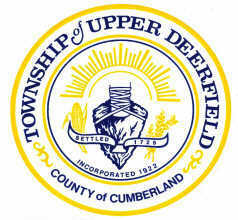 Fast Response Plumbing has been providing routine and emergency services in Upper Deerfield, New Jersey for many years. Anytime you schedule an appointment or have to give us a call in the middle of the night, you can expect the best in plumbing, heating, drain cleaning, and emergency maintenance provided by our professional plumber. There are plenty of things that can go wrong with plumbing, and it’s important to know where to turn to for water damage prevention. A tiny faucet leak or a burst pipe is treated with the same consideration for professional, fast service provided by one of our educated technicians. Our local plumber will inspect and replace pipes, install new fixtures, and perform any necessary repairs at a guaranteed reasonable price. A cold New Jersey winter can be unforgiving without a supply of indoor heat keeping the temperatures at a safe level. Do not allow years of use without maintenance decrease the overall efficiency of your appliances. Regular inspection and a seasonal tune-up also provide protection for your investment throughout every year that it is used. It’s never too late to let us get you back on track with heater repair or a new installation guaranteed to keep your living conditions comfortable. Exit drains can sometimes become clogged with debris that prevents waste water from leaving safely. If there is a slow, stopped, or overflowing drain, call our professional plumber for a timely cleaning. Always have our number nearby to receive all of our valuable services around the clock, especially if it’s an issue in the middle of the night. We will never turn a customer away or let our calls forward to an answering service. With us, you’ll always get the help that you need so you aren’t waiting around for hours dealing with a major problem. 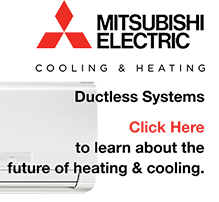 Restore water heater efficiency by replacing your clunky old unit with a new, energy-efficient appliance. If it’s not time for a replacement yet, a tune-up and repair can have it working like-new again providing the perfect water temperature inside your home. All of our customers are welcome to take advantage of the upfront pricing offered by our experienced local plumber. If you need emergency heater repair or having an unexpected plumbing problem, give us a call at any hour. Pick up the phone right now to set an appointment so that you can begin receiving our exceptional local plumbing services at your residence or business.